Once you have email up and running you might run into a situation where emails sent to the system by users are not showing up. This article gives some tips on how to troubleshoot email issues if this occurs. Are there any firewall rules preventing the Metric Insights server from contacting your email server's pop listening port? 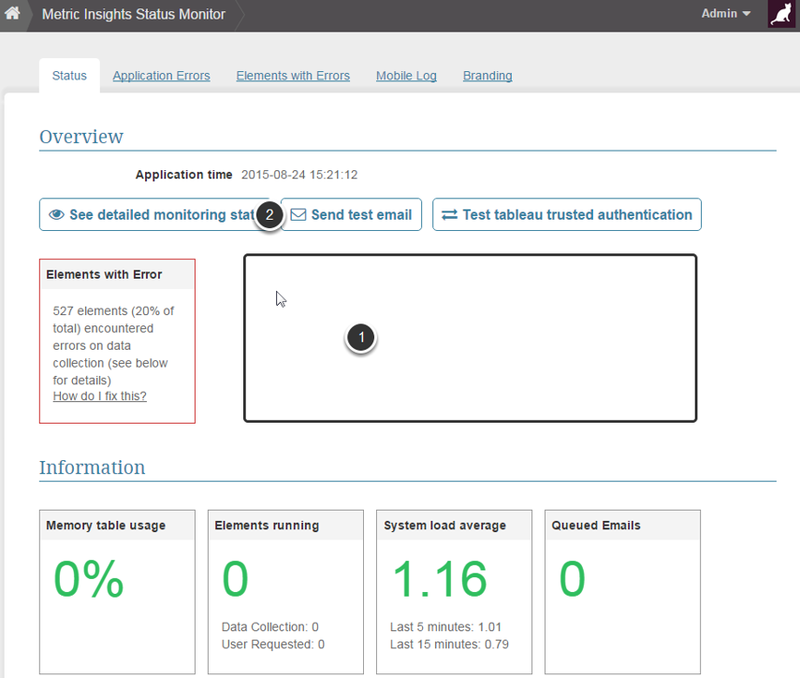 The Status Monitor displays error information for your email setup. Each time you refresh this page, the system attempts to connect to the email server. If an error occurs then it displays here. 1. read failed - connection closed? Error encountered when Receiving mail: read failed - connection closed? Check setting of RECV_MAIL_ variables in /var/www/iv/engine/config/const.php. Error encountered when Receiving mail: cannot connect to host; error = Connection timed out (errno = 110 ) Check setting of RECV_MAIL_ variables in /var/www/iv/engine/config/const.php. Error encountered when Receiving mail: cannot connect to host; error = (errno = 0 ) Check setting of RECV_MAIL_ variables in /var/www/iv/engine/config/const.php. Error encountered when Receiving mail: last request failed Check setting of RECV_MAIL_ variables in /var/www/iv/engine/config/const.php. Error encountered when Receiving mail: Last request failed. Authentication failed. Check setting of RECV_MAIL_ variables in /var/www/iv/engine/config/const.php. 6. No specific error information supplied. Error encountered when Receiving mail. Check setting of RECV_MAIL_ variables in /var/www/iv/engine/config/const.php. Next: Getting "ERROR: Can't write to /var/backups/mi-app-backups/mi-full-backup" when trying to backup my Metric Insights Instance.